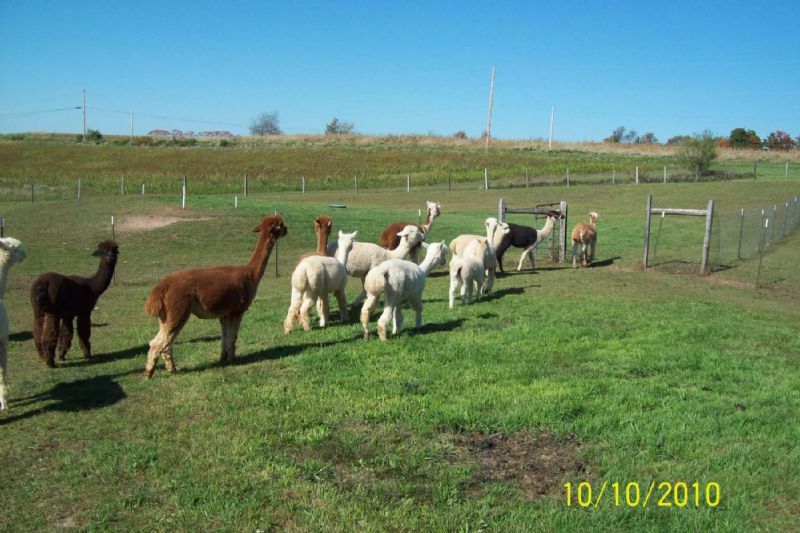 Since 2005 we have been growing our alpaca farm business. Our current herd size is 60+ and is a mix of Huacaya and Suri Alpacas. We also have chickens, ducks, guinea fowl, a few Pygora and Fainting goats, 3 friendly horses, Great Pyr. livestock dogs not to forget Bo and Magie our friendly farm greaters. Our breeding operation has been very successful since we began. 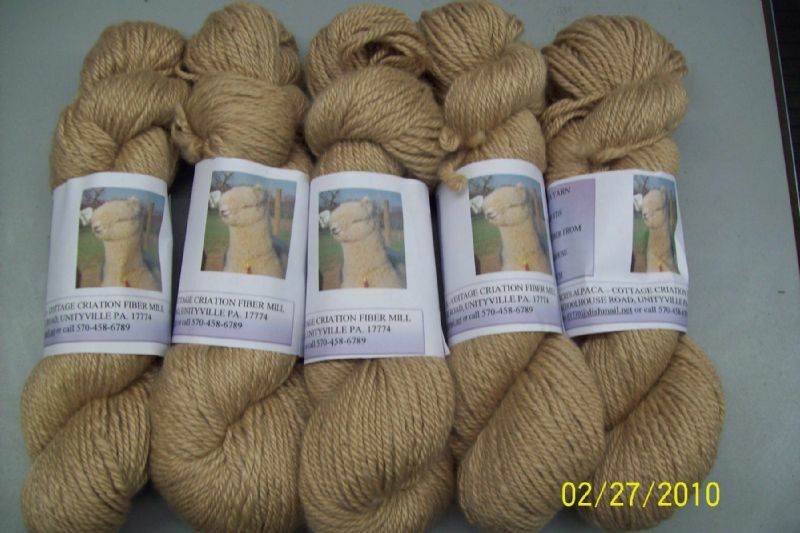 The quality of the fiber and health of our alpacas is top shelf. 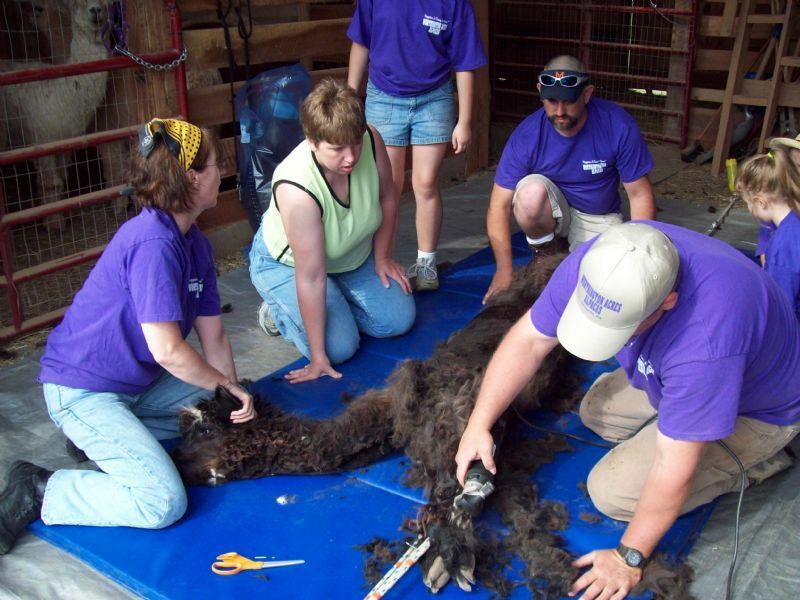 Our sales program has also been successful and we have helped many farms start with alpacas and exsisting farms add to their breeding and fiber program. Our success boasts nearly 100 alpacas sold since 2005. "I wore a pair you made from your very first run for 2 years and they finally wore out. I NEED to replace them. They were extremely comfortable in my shoes and helped immensely with foot fatigue when standing all day." Payment will occur upon completion of processing. We accept credit/debit/PayPal/Personal Check/Cash. We can provide you with a fair estimate of cost based on incoming weight of fiber being processed. We charge for outgoing weight so the estimate is guaranteed to be on the high side. I authorize payment utilizing the credit/debit card information provided above. 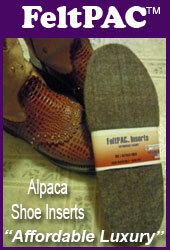 FeltPAC™ needle felt shoe inserts – Approximately 5 pair per pound of fiber. Payment is due upon completion of the order. 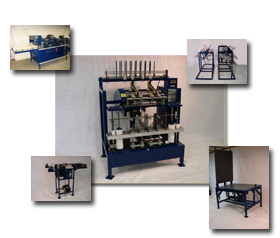 Orders remaining in the mill past 60 days of completion become the property of FeltPAC™ LLC. The card information provided will be used to pay for processing unless other arrangements are made prior to processing. To discover more about alpaca ownership and the benefits of operating a successful small farm business..! Fee's may apply for group visits depending on the length of stay and depth of discussion. We would love to have you however please understand that we are very busy taking care of our alpacas, processing fiber for hundreds of fiber clients and operating our wholesale outlet located on the farm﻿. That said, give us a call. We like to show you our success and are known for our new farm mentoring and support. Copyright 2012 Worthington Acres Alpaca Farm & Fiber Mill. All rights reserved.